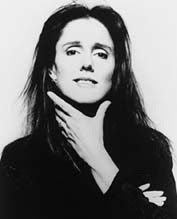 Variety is reporting that director Julie Taymor may have her name removed from her upcoming Beatles musical, Across the Universe. The film was supposed to be released on September 28 of this year (after missing its 2006 release date). Joe Roth, executive for for the film's studio, Revolution, recut the film without Taymor's knowledge or consent and test screened it for audiences. While Taymor does not have final cut of the film, I really hope Roth doesn't release his cut. Taymor is one of the greatest visual artists working today, and it would be a shame, if not a travesty, to see her work tampered with. This kind of studio bludgeoning of artistic integrity is not uncommon, but it is one of their sleazier practices. RKO did the same thing to Orson Welles' The Magnificent Ambersons in 1942 behind his back, and they even went so far as to destroy the excised footage. No one has ever seen Welles true vision of the film. Let us hope it is not the same for Taymor.